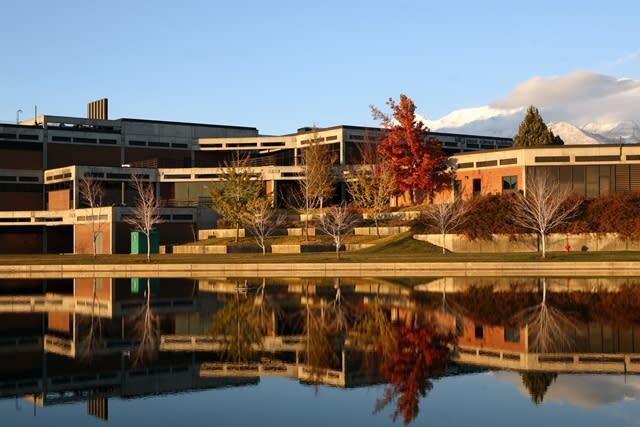 When Utah Valley State College became Utah Valley University in 2008, some wondered what could remain of its humble roots. But through the college's growth and expansion, its commitment to bringing education and prosperity to the community has remained the same since the day it was founded. As World War II loomed, the U.S. needed skilled craftsmen to produce arms and ammunition for the Allied Forces. For this purpose, in 1941 Hyrum E. Johnson brought vocational classes offered around Utah to one central Provo location (now the site of the East Bay Business Park). After the war, the State Legislature made the school a permanent state institution and named Wilson W. Sorensen director in 1945. The next two decades were filled with expansion; enrollment skyrocketed after Sorenson moved the school to 1300 North University Avenue in Provo, overloading campus capacities. After several name changes, in 1967 the school became Utah Technical College at Provo and began awarding associate degrees. The demand for more space prompted college officials to purchase and begin building on a large piece of farmland in southwest Orem adjacent to Interstate 15, the site UVU occupies today. In 1982, J. Marvin Higbee became the third president of the institution. During Higbee’s five years as president, the College increased its offerings and in 1987 became Utah Valley Community College. Kerry D. Romesburg was appointed president in 1988. He emphasized international education, arts and humanities, and short-term training throughout the college’s curriculum and improved the face of campus by adding and expanding buildings. 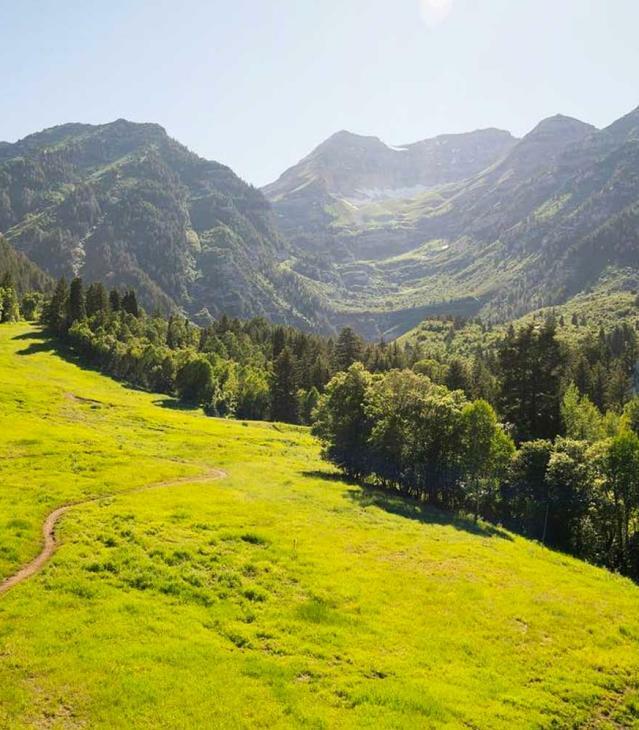 Through his efforts, voter-approved funding was obtained for an 8,500-seat special events center on campus as well as the Wasatch Mountain Campus. Under his leadership, the institution became Utah Valley State College in 1993 and began offering bachelor degrees. In 2003, College officials conducted a national search for a new president, ultimately welcoming William A. Sederburg to the helm of UVSC. Sederburg wasted no time in working with local and state officials to put in place a plan for obtaining university status. 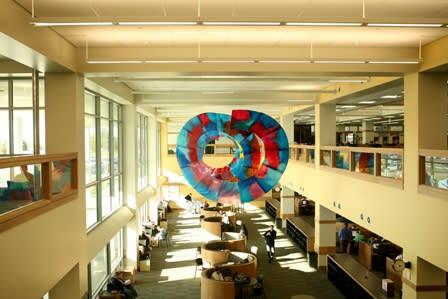 To become a university, the school needed to build a new expansive library and start offering master’s degrees. After only a year and a half, the feat was accomplished. Utah State Legislature unanimously granted UVSC university status and on July 1, 2008 the school became Utah Valley University. New Beginnings As UVU embarks on its new journey as a university, it has a new state of the art library/digital learning center to go with it. With 190,000 square feet and five levels, it provides students, faculty and community members with classrooms, labs, study rooms and offices. UVU also has its first master’s program in Education. In the near future, master’s programs in business and nursing will be offered. Soon after university status was granted, President Sederburg was named Utah’s Commissioner of Higher Education, and Matthew S. Holland currently serves as president of Utah Valley University.